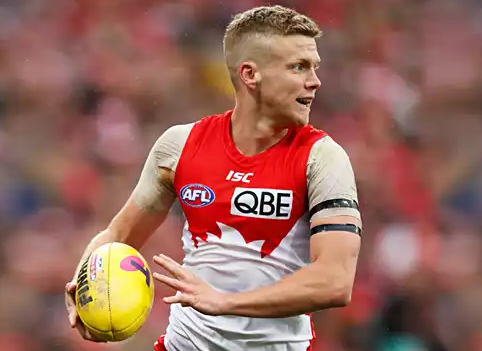 Dan Hannebery is a professional Australian rules footballer playing with the Sydney Swans in the Australian Football League (AFL). His original teams are Oakleigh Chargers / Xavier College. His current club is Sydney and plays by wearing shirt number of 4. His playing position is Midfielder. He was drafted from the Oakleigh Chargers with the 30th pick in the 2008 National Draft and made his debut at the end of 2009 season. 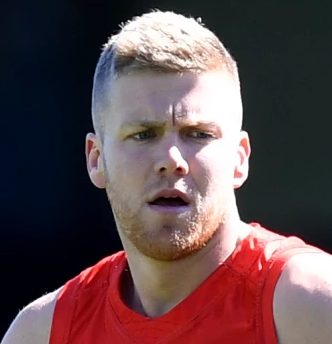 Dan Hannebery was born on 24th February 1991. He completed his education at Xavier college and made his debut in round 16, 2009, for Sydney against Carlton, while still attending high school. He is the son of former Footscray player Matt Hannebery. Dan has got an attractive body. He stands 181 cm tall and has a balanced weight of 81 Kg. In the 2010 AFL season of round 2, Dan received a nomination for the AFL Rising Star award. He was awarded the Ron Evans Medal as the 2010 AFL Rising Star. Later, his outstanding season was further rewarded with finishing 10th in the Bob Skilton Medal and winning the club's Rising Star Award. His 2011 season finished seventh in the Skilton Medal. His 2012 season as the Swans went on to win the premiership and he placed 10th position in the 2012 Bob Skilton Medal. In his 2013 season, he won the first New Zealand-awarded Anzac Medal in the Anzac Day clash between Sydney and St Kilda. His 2015 season was arguably his best, finishing the home and away season as the AFL's leader in possessions. He was rewarded with the AFL Coaches Association player of the year award, polling one vote ahead of Nat Fyfe. Dan is a very secretive person regarding his personal life. He has not revealed about his love life to the media. He may be single or is in a relationship. The net worth of Dan is not revealed yet and will be updated soon. Dan is very active in social media. He mostly uses Instagram along with Facebook, Twitter. His Instagram followers are 28.9 K.